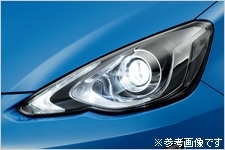 If you install the LED front fog lamp LED head lamp package, front fog lamp dealer installed option can not be installed simultaneously. 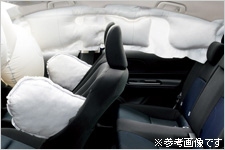 If you have selected at the same time the seat heater and exhaust heat recovery unit and beauty package, it will be 34,560 yen in total (consumption tax 32,000 yen). If you have selected at the same time Navi ready package with advanced display package, steering switch will come with touch tracer function. 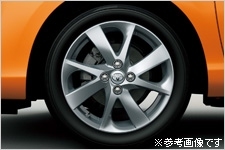 The price will be ¥ 76,680 (consumption tax 71,000 yen). Screen guide lines linked to the steering operation In order to display, you may navigate to the factory-fitted back camera guide kit (dealer installed option) is required. 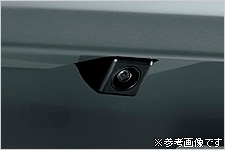 audio operation switch, enables operation when it is equipped with a navigation system of dealer installed option. instrument panel of ODO · TRIP / DISP switch is not mounted. 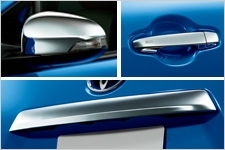 Factory-fitted back camera guide kit is not included in the navigation ready package. 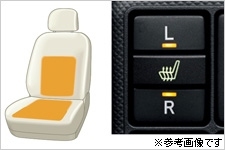 If you choose seat heater & exhaust heat recovery unit and the cold weather model at the same time, it will be 32,400 yen in total (consumption tax 30,000 yen). 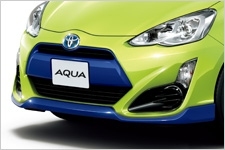 If you have selected at the same time the seat heater and exhaust heat recovery unit and beauty package, it will be 34,560 yen in total (consumption tax 32,000 yen). 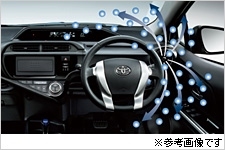 If you have selected at the same time Navi ready package with advanced display package, steering switch will come with touch tracer function. 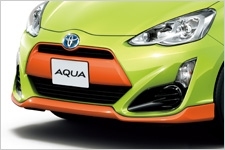 The price will be ¥ 76,680 (consumption tax 71,000 yen). 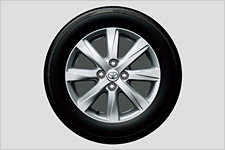 Touch tracer function, dealer installed options If you install a non-navigation system, there are times when it is not operating normally. 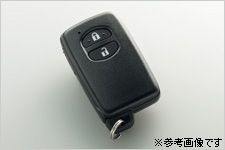 audio operation switch, enables operation when it is equipped with a navigation system of dealer installed options. 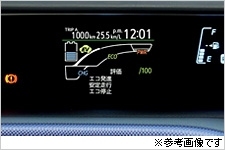 instrument panel ODO · TRIP / DISP / time setting switch of will become a non-attached.